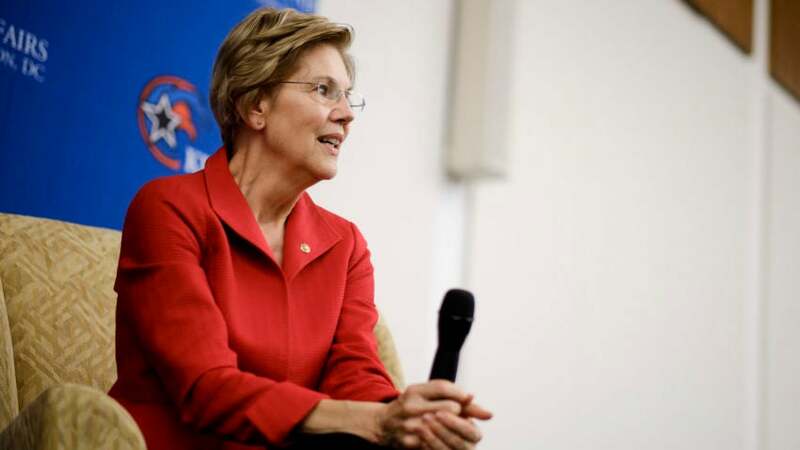 Sen. Elizabeth Warren speaks at American University in Washington, D.C.
Sen. Elizabeth Warren’s three big policy proposals may be gaining momentum in the House. But could the marijuana reform bill she introduced earlier this year actually pass in the Senate? Sen. Cory Gardner, the Colorado Republican co-sponsoring the bill, says it could. And he’s trying to make it happen this week. “The votes are there,” Gardner told Bloomberg in an interview Monday.